BAGUIO CITY – Mayor Mauricio G. Domogan said that he will personally bring to the attention of Energy Secretary Alfonso Cusi, Jr. the issue on the unabated increase in oil prices in the city which must be given preferential attention by the energy department to significantly reduce the sufferings of residents relative to the pressing social problem. 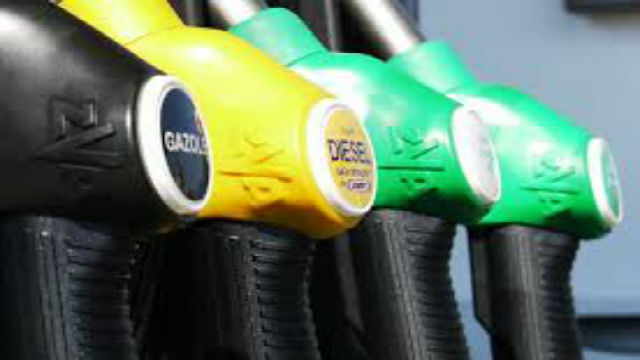 The local chief executive expressed disappointment over the recent oil price hike that was implemented by industry players that pegged the price of diesel at a minimum of P51.34 per liter and gasoline at over P65 per liter contrary to the prevailing oil price in San Fernando City, La Union which is less than P5 per liter compared to the existing oil prices in the city. “Industry players have a lot of explaining to do because they cannot actually justify why the prevailing oil prices in the city are P4 to P5 higher compared to the oil prices in the lowlands. It was clear in our previous conference with energy officials and local oil retailers that the transportation cost of oil products from their depot in Poro Point is only P0.18 per liter,” Domogan stressed. He said that as soon as Secretary Cuysi will be in the city over the weekend, he will discuss the matter with him so that appropriate action could be done in his level to compel local oil retailers to be transparent about the matter because they seem to be unable to0 explain the huge difference in the prevailing price in the city and the oil prices in the lowlands. While there was a substantial reduction on local oil prices the previous months because of the individual and collective interventions done by concerned local officials, Domogan explained that it seems that local oil retailers seem to continue wrecking in millions of pesos in income from alleged overpriced oil products at the expense of ordinary residents who are working extra hard to earn a living for their families. Earlier, motorists and public utility vehicle drivers are now complaining on the unabated increase in local oil prices that rendered the efforts of concerned officials to convince industry players to significantly reduce their prices considering that they are taking the concerned government agencies and the local government to a ride and are adamant on the plea of the people for a possible reduction of oil prices, especially with the onset of the peak tourism months in the city. Domogan underscored that the local government will try to exert available mechanisms within the powers of the city to compel the local oil retailers to lower their pump prices to ease the burden of the prevailing oil prices to the growth of the local economy. Aside from the minimal transportation cost from their depot in La Union up to their points of destination in the city, he asserted that local oil players no longer entail additional cost for the delivery of the products to their gasoline stations because it has already been computed in the rate, thus, it is likely that there is a sense of profiteering in the existing situation wherein it already warrants the appropriate intervention that should be done by the involved agencies that are aware of how oil prices are being priced in their level.